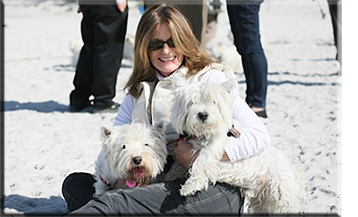 After a successful, award-winning career in advertising and public relations representing Fortune 500 clients and a handful of privately-held favorites, I started a small publishing company, White Dog Press, Ltd. with four books currently in print. An avid cyclist, I pedaled across 4000 miles across America, through China, Bali, Scotland, Ireland, Italy, France, Sicily, Costa Rica, and wrote travel articles with my late husband of 36 years, who was my photographer and travel companion. My stories have appeared in The Boston Globe, Los Angeles Times, Dallas Morning News, France Magazine and more. Now a practicing couch potato, I am working on my next book, coming soon, called Signs of Life, Love, and Other Miracles. In my spare time, I make a mean martini, shaken, not stirred.